February 26th, 2018 Meeting – Freehold Township Republican Club Meeting – Monmouth County’s newest Freeholder, Gerry Sharfenberger will be the guest speaker. 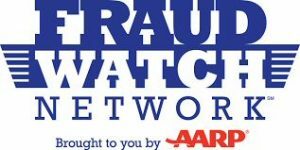 March 26th, 2018 Meeting – Freehold Township Republican Club Meeting – Monmouth County Freeholder, Dr. Gerry Sharfenberger will be the guest speaker. The meeting will begin with a dinner at 6:30 P.M. at Szechuan Star Restaurant located at 3338 Route 9 South, Freehold, NJ 07728 in the Barclay Plaza shopping mall. Gerry Sharfenberger has recently ascended to Monmouth County Freeholder after the Republican County Committee elected him to replace Serena DiMaso, who has been elected to the New Jersey Assembly. 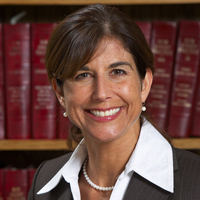 Dr. Gerry Sharfenberger, was the former Acting Director of the New Jersey Business Action Center and the former Director at the Office for Planning Advocacy. Gerry received a Master’s degree from Hunter College and a Doctorate from the CUNY Graduate Center. 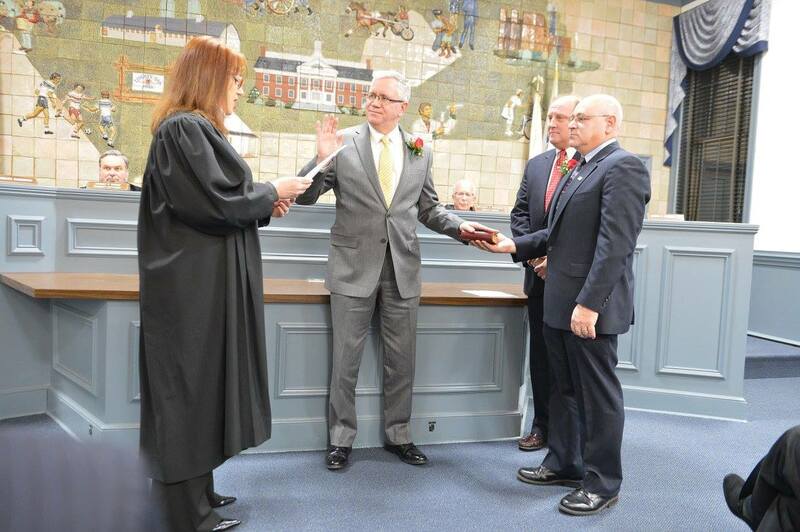 He has been serving on the Middletown Township Committee since 2005 holding the position of Mayor on six separate occasions and Deputy Mayor in 2006 and 2009. His appointments include the Township’s Open Space Committee and the Municipal Alliance for the Prevention of Alcohol and Drug Abuse. Freeholder Sharfenberger and his wife have resided in Middletown for over 25 years where they’ve raised their two children. Gerry has also served on Governor Christie’s transition team, and has it has been reported that he was given the distinction of being axed by Governor Murphy. 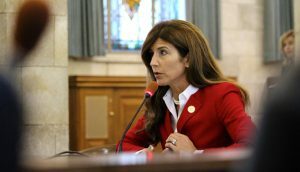 As a public official of Middletown, he could not support Murphy’s scheme that would allow New Jersey residents to pay property taxes as charitable contributions to their municipalities as a way of preserving a deduction capped at $10,000 by President Trump last year. We look forward to welcoming Freeholder Sharfenberger, hear his plans for Monmouth County, and wish him our best luck. May 23rd, 2016 Meeting – Freehold Township Republican Club Meeting – Senator Jennifer Beck will be the guest speaker. THE NEXT REPUBLICAN CLUB MEETING – Monday. May 23rd, 2016 meeting will present our very own Senator Jennifer Beck. Senator Beck, one of our hardest working legislators, continually keeping her constituency updated will again visit Freehold Township. Considering new budgetary concerns, upcoming constitutional amendments, drug abuse, senior programs, education funding, transportation costs, curtailing real estate taxes, potential gasoline tax increases, and much more, this is an opportunity citizens should not miss. Not only does she bring clarity and information, but she comes ready to hear us as well. So whether a Republican, Democrat, Independent, or a Resident, join us at the Szechuan Star Restaurant, Route 9 South near its intersection with Elton-Adelphia Road. Dinner will be served at 6:30 P.M. A nominal fee will be charged for dinner guests. 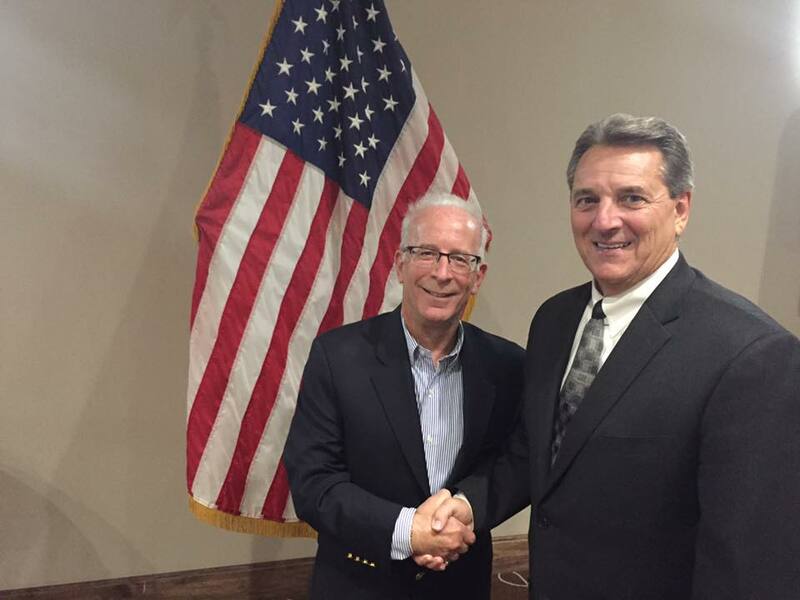 April 25th Freehold Township Republican Meeting – Guest Speaker Dr. Mark Roessler, Board Certified ear, nose and throat specialist. Monday. April 25th, 2016 meeting will present Dr. Mark Roessler, who is Board Certified identified as specializing in Plastic Surgery, Facial Plastic Surgery and Otolaryngology as it’s April guest speaker. 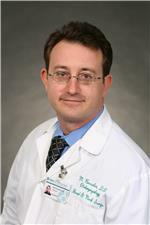 His presentation will be about tinnitus and hearing loss, the causes, prevention, and their treatment. In addition to his otolaryngology specialty, for us civilians, ear, nose and throat specialist, he is a trained facial plastic surgery and expert in the treatment of sleep apnea. With a local office in Freehold, CentraState Medical Center is included in over 4 local hospital affiliations. In addition to receiving many awards, honors and recognitions such as: AAO-HNS Fellow; CMS Stage 1 EHR 2011; CMS Stage 1 EHR 2012; and CMS Stage 1 EHR 2013, he has been published in the American Journal of Cosmetic Surgery. 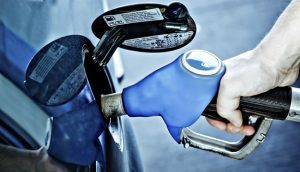 Attendees, Members, Officials and Guests will begin gathering at approximately 6:00 P.M. at the Szechuan Star Restaurant, Route 9 South near its intersection with Elton-Adelphia Road. Dinner will be served at 6:30 P.M. A nominal fee will be charged for dinner. 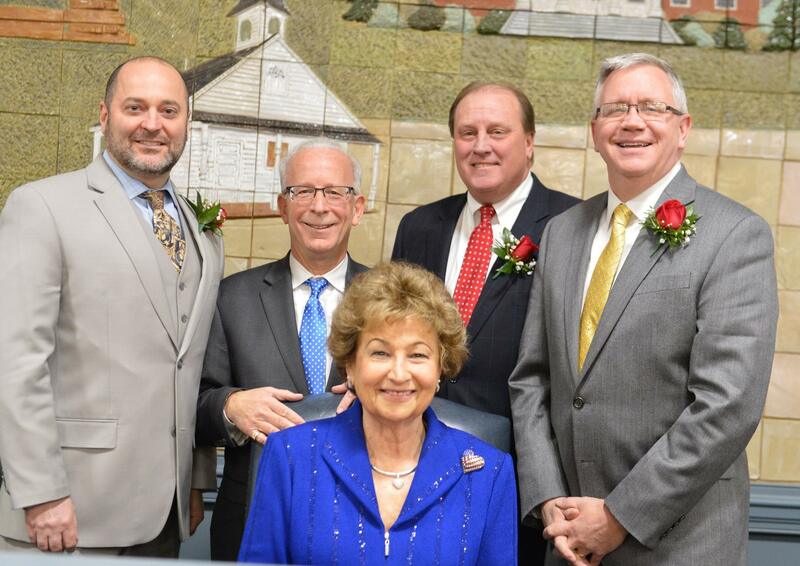 Beginning every year, as decreed by its voters in the past election, the leadership of Freehold Township reorganizes itself. The Township Committee selects a new mayor and deputy mayor from among itself to serve in the ensuing year. Along with appropriate oaths being administered to these individuals is the swearing in of recently elected Committee members as well. 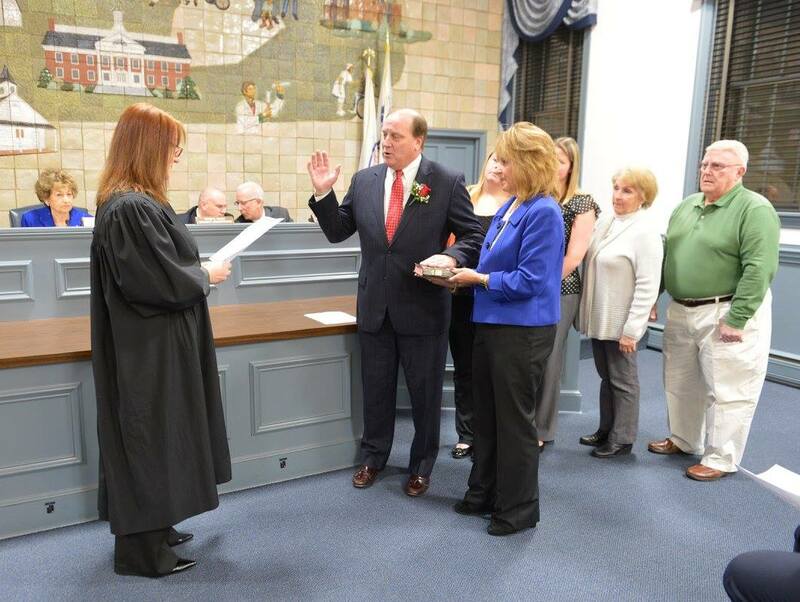 For 2016, Barbara McMorrow will serve as Freehold Township mayor and Lester Preston as the deputy mayor. Mayor Barbara McMorrow accepts her oath administered by Monmouth County Sheriff Shaun Golden. Standing beside her is husband Patrick McM0rr0w. 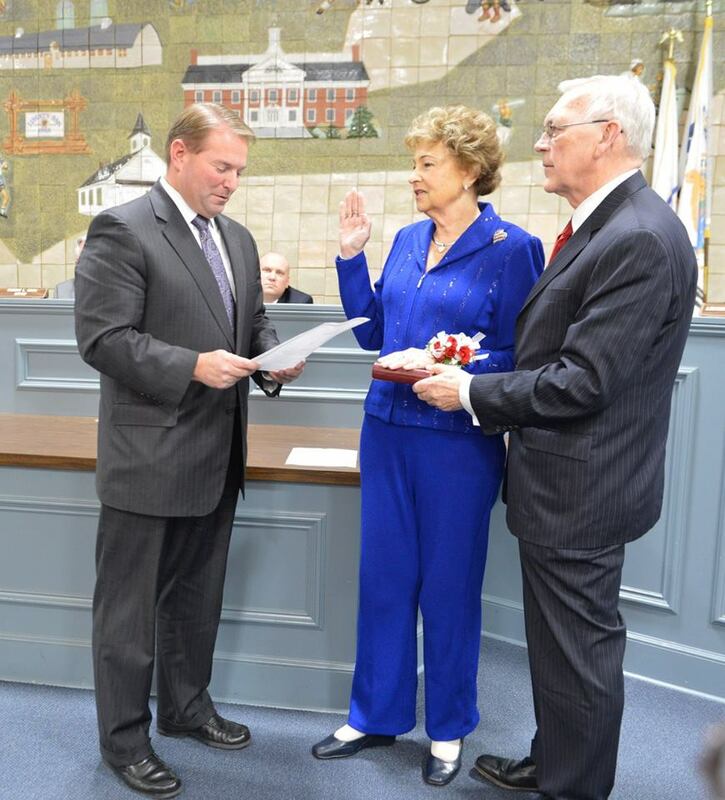 Ms. McMorrow, as a former resident of Freehold Borough and currently longtime resident of Freehold Township, has an extensive and respected history of service and dedication to Monmouth County. Both as an educator in Freehold Borough High School and retiring as principal of Howell High School, she has helped shape many of our children. Additionally, Barbara has an esteemed history of public service. 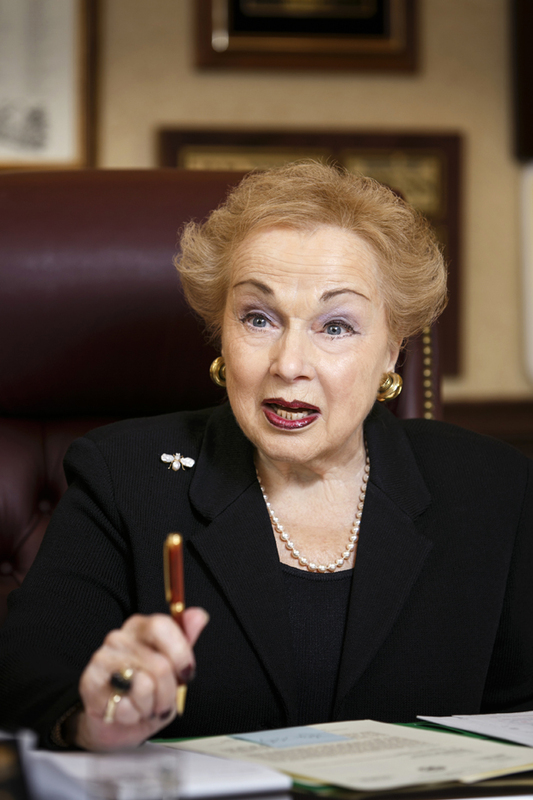 As a Democrat, she was a former Councilwoman and Council President of Freehold Borough; Monmouth County Freeholder as well as it’s 2nd woman Director. More recently, a Republican, she has been appointed, and on numerous occasions, elected to the Freehold Township Committee. 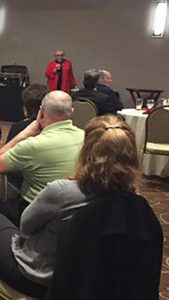 As in 2016, she has previously served as Mayor. Her list of achievements, appointments to committees and such go on and on. Apparent throughout her background is a history of treating citizens as neighbors. Barbara does not separate individuals along political lines, religious backgrounds, racial divides, gender, age or economic status. She just sees and treats them as people, with a deep respect and reverence. You’ll know she’s in the room by her smile and style. Deputy Mayor Lester Preston has confirmed his commitment by accepting the Oath of office as Deputy Mayor being administered by Superior Court Judge Theresa Kondrup-Coyle. 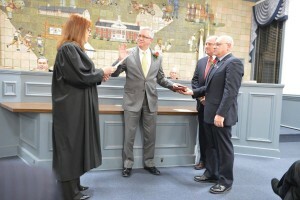 Although Deputy Mayor Preston’s elected career began with his first term on the Township Committee in 2015, he is not new to committing to the citizens of Freehold Township. Lester has been a member of the Freehold Fire Department for over 27 years. With his formidable and strong background as a Treasurer and Chief Financial Officer in the private sector, he has brought his wisdom, talent, leadership and coaching abilities to many community organizations such as the Freehold Township Recreation Commission and Freehold Soccer League, to name a few. He also provides time, expertise, leadership and financial commitment to a local charity. The Graeme Preston Foundation for Life awards scholarships and provides financial support to deserving local community activities. You know Lester is in the room by his eagerness and energy. Returning to serve on the Township Committee after a resounding election are Anthony Ammiano, for his 16th year, and Thomas Cook, his 4th. 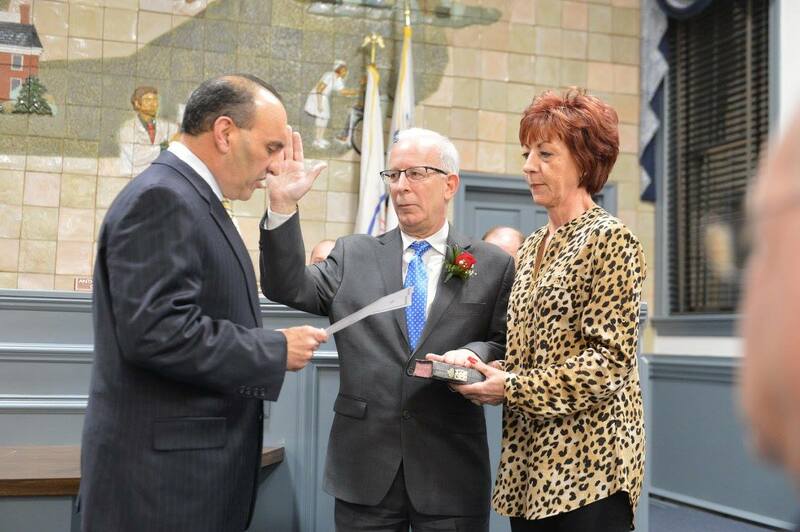 Anthony is being sworn in by Monmouth County Freeholder Thomas A. Arnone and Tom by Superior Court Judge Theresa Kondrup-Coyle. 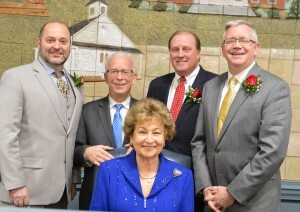 Along with Committeeman David Salkin, this is the Freehold Township leadership for 2016. You know they are in the room by their teamwork, long history of leading one the best recognized municipalities for its excellence, overwhelming citizen support and approval, and being around all the time, not just during the election campaign. 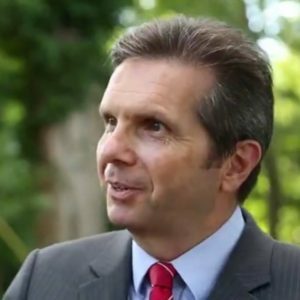 February 22nd, 2016 Meeting – Freehold Township Republican Club Meeting – Timothy Tracey of the Monmouth University Polling Institute will be the guest speaker inaugurating the 2016 season. Monday. February 22nd, 2016 will be the January meeting rescheduled due winter weather and is the inaugural meeting for 2016 season. Guest presenter will be Timothy Tracey of the Monmouth University Polling Institute. Mr. Tracey has been a lifelong Jersey Shore resident who has received both his undergraduate and postgraduate degrees from Monmouth University. 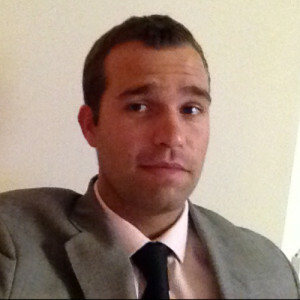 Specializing in political science and public policy, and through his work as a Research Associate at the Monmouth University Polling Institute, he has developed a unique insight in understanding the electorate. Along with many interesting aspects to his presentation, he may help us better understand how polling is done, what it really means, and how does it affect political campaigns and decisions made by leaders. 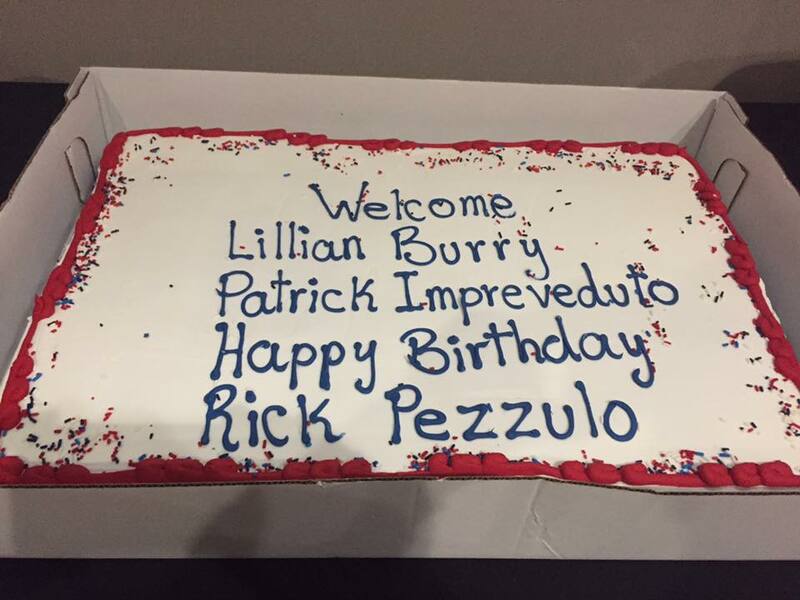 What a great way to begin our 2016 meeting season. Join us at the Szechuan Star Restaurant, Route 9 South near its intersection with Elton-Adelphia Road.